A beautiful autumnal bouquet with orange asiatic lilies, green chrysanthemum blooms, orange carnations, hypericum berries and other seasonal flowers & foliage. 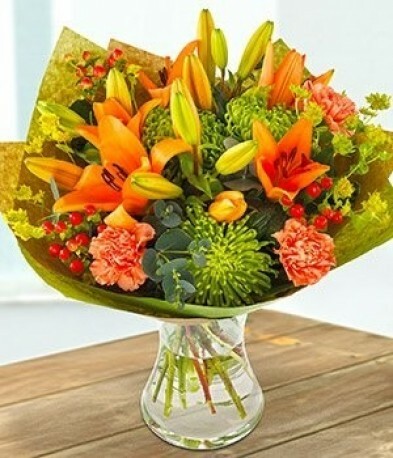 Flowers are aqua packed for freshness and presented in a box/bag. Vase is available as an extra - see add-ons. Luxury size shown in image.